Three passenger instruments on Jason-2, the ocean surface topography satellite launched 20 June, won’t be measuring sea-surface height. One of them is the Time Transfer by Laser Link instrument (T2L2). Its job is to synchronize clocks. Scientists took advantage of the launch of Jason-2 on 20 June to send up 3 passenger instruments with the satellite. 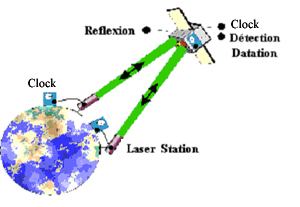 One of these is the Time Transfer by Laser Link instrument (T2L2), designed to compare clocks very precisely in order to synchronize them or gauge their performance. The clocks are located at distant points on Earth’s surface. Another clock on board Jason-2 acts as a relay. T2L2 operation. Credits : CNES. T2L2 will also be useful for Jason-2. “It’s coupled with the DORIS clock and will be able to compare its frequency with that of a reference clock on the ground,” says Sylvie Léon-Hirtz. Her ultimate aim is to verify certain fundamental physics principles, but this will require coupling the instrument with a much more accurate clock. 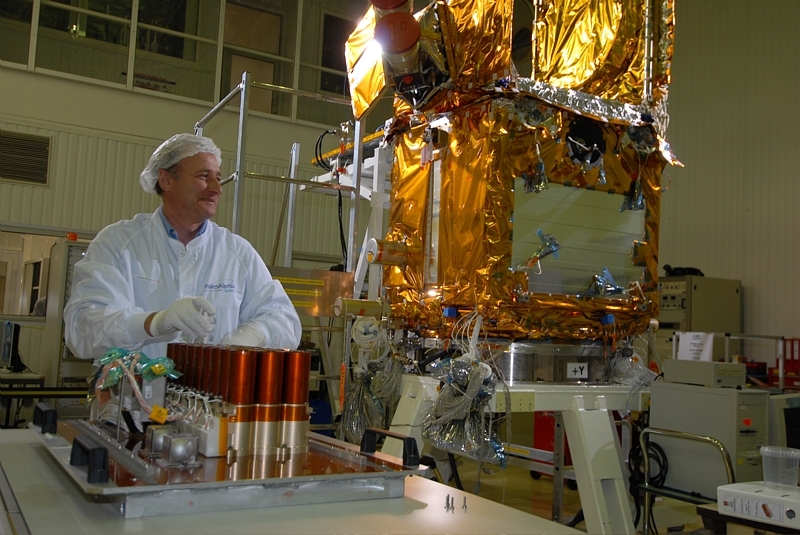 The T2L2 instrument on Jason-2 is a proof-of-concept mission with an expected lifetime of 2 years. Plans are being laid to integrate it on another satellite with a more accurate clock. Until then, the current mission still has a lot of work ahead of it. “The instrument was powered up on 25 June and is working very well,” says Sylvie Léon-Hirtz. 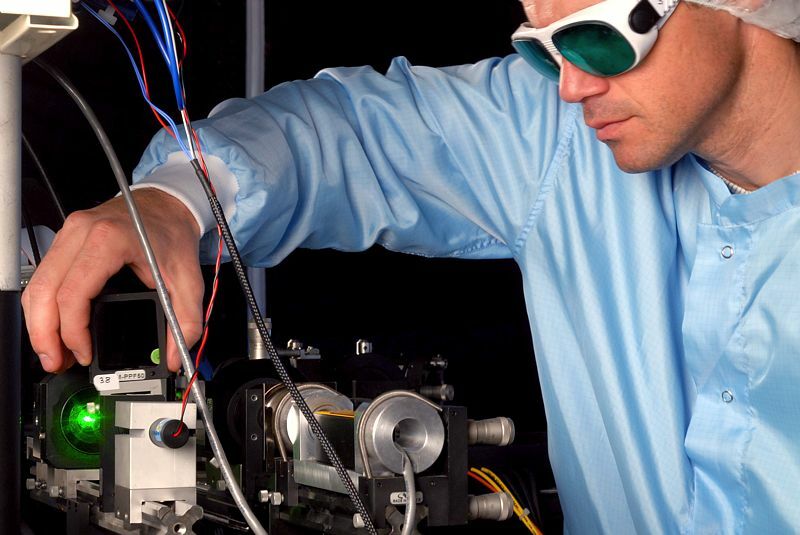 The Côte d’Azur observatory has already performed a first series of laser firings. This is where data from CNES will be processed, working in tandem with the international network of laser ranging stations and other time metrology laboratories. “We hope to validate the 1st data from T2L2 in September and then perform a series of experiments,” says Léon-Hirtz.